This tutorial is going to show you how to install latest Sweet Home 3D 4.1 in Ubuntu 13.10 Saucy & Linux Mint 16 Petra while the defaut version in Software Center is old. 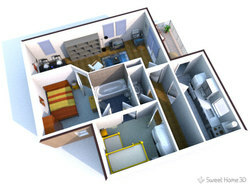 Choose the language displayed in the user interface of Sweet Home 3D and its rich help from 24 languages. Download Sweet Home 3D to run it offline under Windows, Mac OS X, Linux and Solaris, or use its online version from any browser supporting Java. 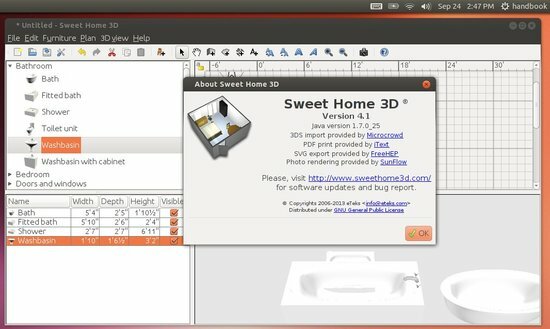 The latest Sweet Home 3D is available in Getdeb repository for Ubuntu 13.10, Ubuntu 13.04, Ubuntu 12.04 and their derivatives, such as Linux Mint 13/15/16, Elementary OS. 2. For Linux Mint, there’s an option to enable it under ‘Software & Sources -> Additional repositories’.